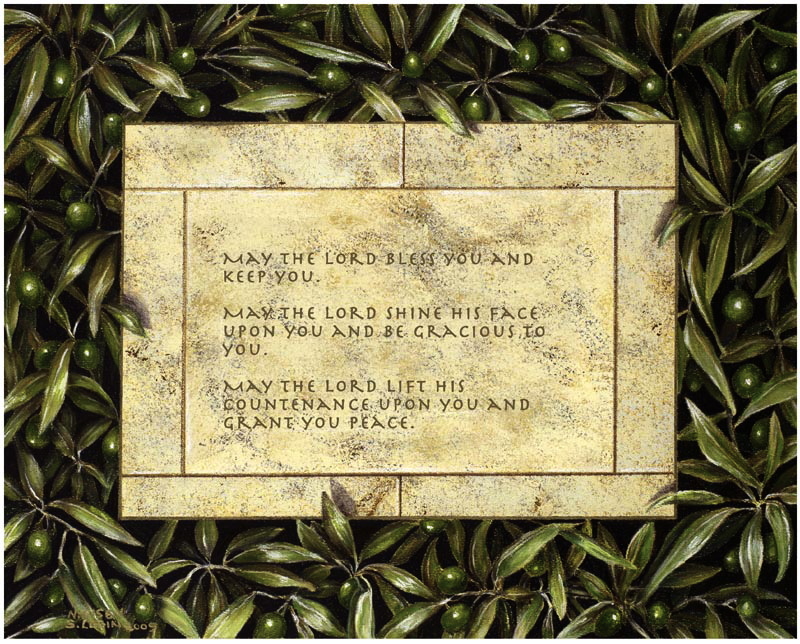 The Jucaica Line began as a gift for our synagogue. 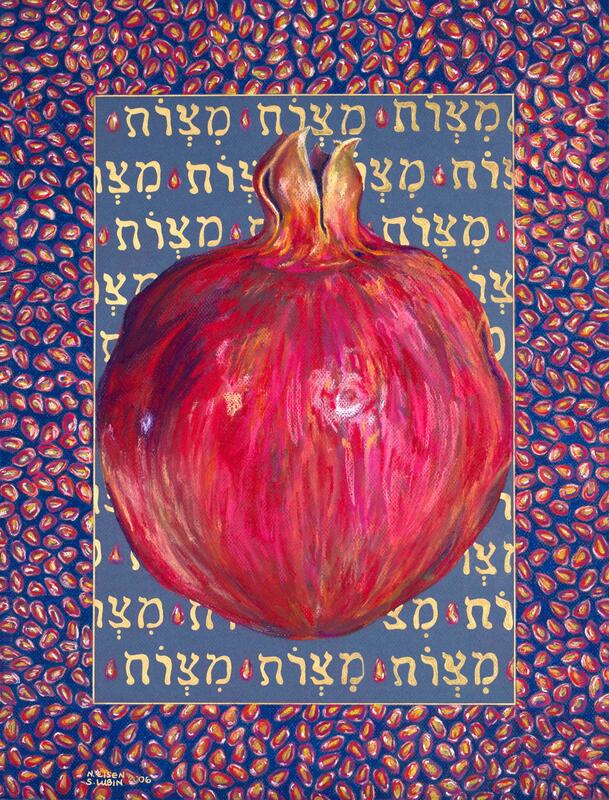 We created "Six Hundred Thirteen" with the idea of combining the religious word "Mitzvot", which means good deeds, and the pomegrante in one piece. 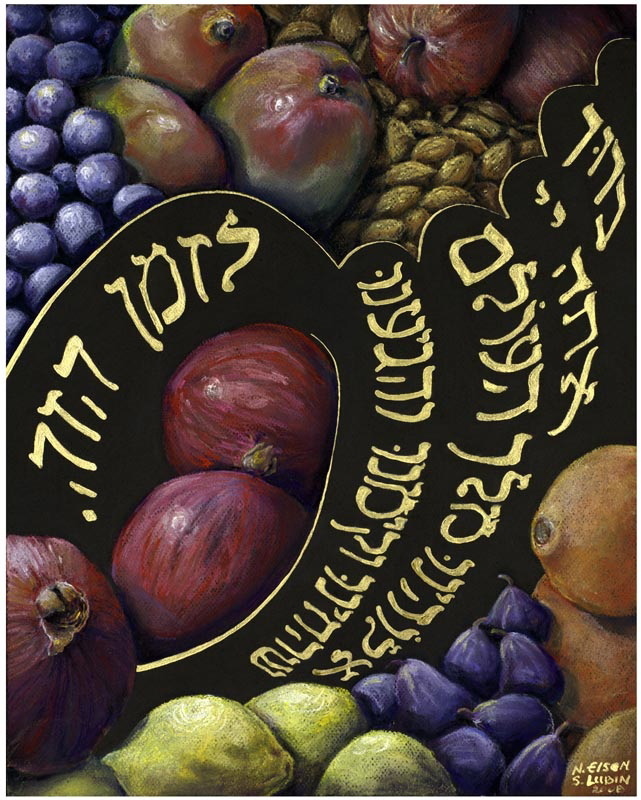 We enjoyed researching this so much we added the prayers for wine, breaking bread, priestly benediction and the Shehecheyanu which is a blessing for pretty much everything. Each giclee is a limited edition and includes a certificate of authencity and a detailed explanation of the history of the work. These pieces are now in limited supply. There is a watermark on these images to protect against fraudulent copying. This mark will not be on the giclee you purchase. Please contact me if interested in any of the images below.